Adam and his brother Brandon almost didn’t make it to Miami from N.Y. due to the severe freezing weather that plagued them for days. After waiting at the airport all day they finally landed around 10pm and were ready for a day on the water. 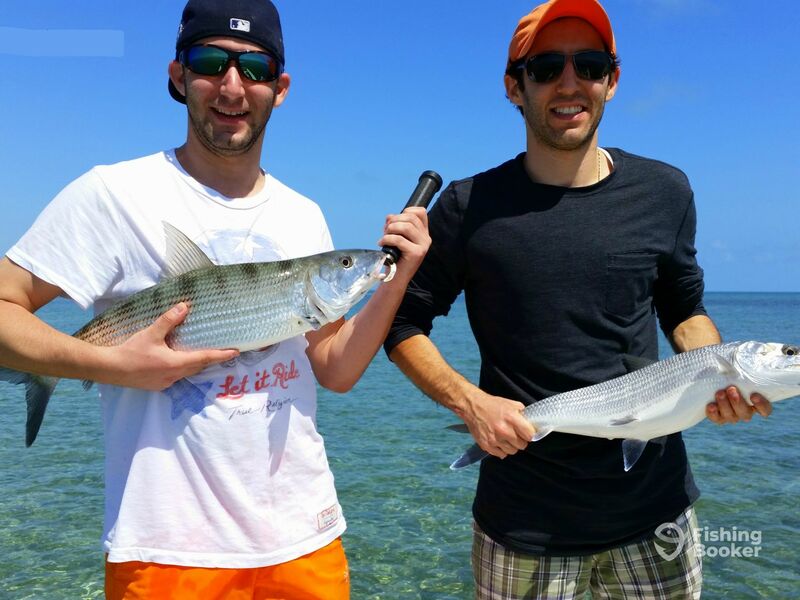 Adam’s goal was to bonefish but we started off staying lose to the dock due to the time constraints of the 4 hour trip. However, he decided to try bonefishing for around an hour so we raced down to the bonefish flats and got on one of my favorite flats on the tide we had. It sure didn’t dissapoint. After a few shots at some fish, a school of bones comes in from our 11 o’clock and looking very freindly. Adam casts to the side of the school and Brandon casts to the other side. A few moments later both rods double over and the sweet sound of scorching drag fills the air. After a few drag burning runs and having to fend off a few sharks we released both fish, one in the 8lb range and the other in the 10-11lb range. What a welcome to Miami! Born and raised in Miami, Mo's been fishing these waterways as far back as he can remember. He is an active member of The Bonefish and Tarpon Trust, as well as a field contributor for the Coastal Angler magazine. Captain Mo has appeared on the World Fishing Network on several occasions, and is the host of the upcoming fishing show "Tailing Silver." Most days, you will find him enjoying the marvels of Biscayne Bay from the poling tower of his skiff.